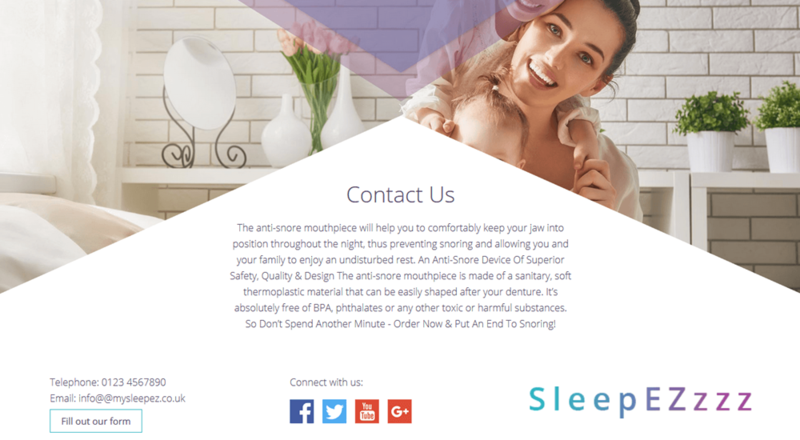 This week's website of the week goes to Sleep EZzzz. 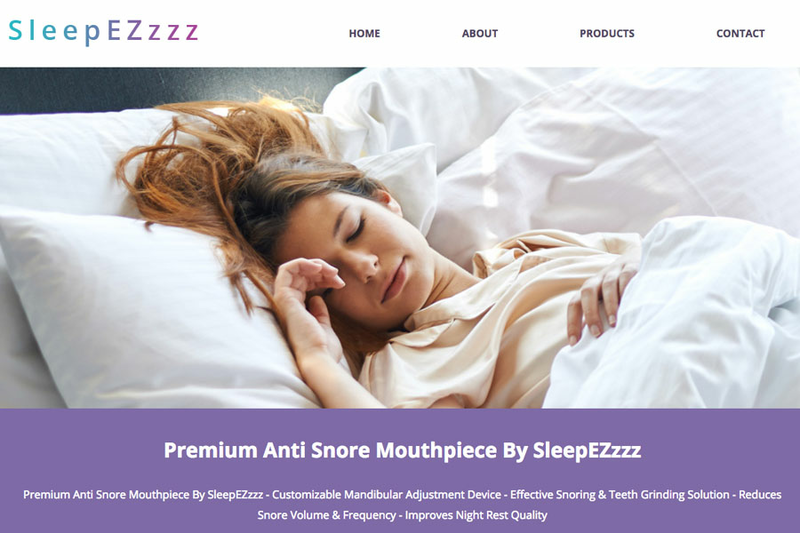 SleepEZzzz promise you a restful, snore-free night with their Adjustable Anti-Snoring Mouthpiece. Project Manager Lanara started by creating a full width panel website, with large visual imagery and parallax panels. The website features a colour scheme that is a mixture of calming gradients. These colours are used as accent colours on a white professional background. The website features a pop up enquiry form in the footer, and social media icons to take you to the social media accounts. As a one page website, the page needed to be clear, easy to follow and easy to navigate. The navigation includes anchors linked from the menu items, so that people can get to the relevant section that they are interested in reading more about. The website passes Google's mobile-friendly test with flying colours, meaning that the website is responsive to the device it's being viewed on. When it comes to being found in mobile results, this is a must have. The website imagery has been carefully selected to be representative of the product being sold. Because the website topic is about a peaceful sleep, most of the images revolve around that theme. We’re on hand Mon – Fri, 9:00 am – 5:30pm by email or on our standard rate number 02380 633 644. When you buy a small business website from Toolkit Websites, we become your web team, with email and telephone support, and step by step guides. We include everything a successful business web design needs. Read more on our website design page. Did you know... we answer our support calls within 3 rings. We aim to provide passionate support at all times. Check out our customer reviews page!